The Sheet Metal Fabrication Services market is projected to grow at a CAGR of 2.55% over the forecast period of 2017 to 2023. Increasing investment in various industries like automotive, construction, aerospace and defense drives the growth for sheet metal fabrication services market. Sheet metal fabrication has become an integral part of the various end user industries which continue to fuels up the demand in the market. Increasing investment and development in APAC region is expected to further boost up the market and may create ample of opportunities for manufacturers and venders. Technological advancement in manufacturing sector has continued to evolve over the period of time in the developed regions which further remain the driving force for the market. Major industry players profiled as part of the report are Classic Sheet Metal, Inc, All Metals Fabricating, Inc, Moreng Metal Products, Inc, BTD Manufacturing, Inc., Metcam, Inc and Dynamic Aerospace and Defense Group among others. Sheet Metal Fabrication Machines Market research report delivers a close watch on leading competitors with strategic analysis, micro and macro market trend and scenarios, pricing analysis and a holistic overview of the market situations in the forecast period. UpMarketResearch offers a latest published report on “Global Sheet Metal Fabrication Machines Market Analysis and Forecast 2018- 2025” delivering key insights and providing a competitive advantage to clients through a detailed report. The report contains pages which highly exhibit on current market analysis scenario, upcoming as well as future opportunities, revenue growth, pricing and profitability. Sheet Metal Fabrication Machines Market research report delivers a close watch on leading competitors with strategic analysis, micro and macro market trend and scenarios, pricing analysis and a holistic overview of the market situations in the forecast period. It is a professional and a detailed report focusing on primary and secondary drivers, market share, leading segments and geographical analysis. Further, key players, major collaborations, merger & acquisitions along with trending innovation and business policies are reviewed in the report. The report contains basic, secondary and advanced information pertaining to the Sheet Metal Fabrication Machines Market global status and trend, market size, share, growth, trends analysis, segment and forecasts from 2018 – 2025. Sheet Metal Fabrication Machines Market Report covers a valuable source of perceptiveinformation for business strategists. Sheet Metal Fabrication Machines Industry provides the overview with growth analysis and historical & futuristic cost, revenue, demand and supply data (as applicable). The research analysts provide an elegant description of the value chain and its distributor analysis. The report starts with a basic Sheet Metal Fabrication Machines market overview. It also acts as a vital tool to industries active across the value chain and for new entrants by enabling them to take advantage of the opportunities and develop business strategies. Geographically, Report also provides Demand Status, production Volume, Segment Analysis and Import and Export Status of Sheet Metal Fabrication Machines including regions like: Europe, North America, China, Japan, Southeast Asia. Sheet Metal Fabrication Machines Market reports cover detailed competitive outlook including the market share and company profiles of the key participants operating in the Global market. The Sheet Metal Fabrication Machines market report provides an in-depth overview of Product Specification, technology, product type and production analysis considering major factors such as Revenue, Cost, Gross and Gross Margin. Sheet Metal Fabrication Machines Market report also include data type such as capacity, production, market share, price, growth rate, consumption, import, export etc. Industry chain, manufacturing process, cost structure, marketing channel are also analysed in this report. The Sheet Metal Fabrication Machines Market report conveys an essential review of the business including its definition, applications and assembling innovation, Sheet Metal Fabrication Machines Market report introduces the organization profile, item determinations, limit, generation esteem, Contact Information of maker and pieces of the pie for organization. Scope of the Report: This report focuses on the Sheet Metal Fabrication Machines in Global market, especially in Europe, North America, China, Japan, Southeast Asia. This report categorizes the market based on manufacturers, regions, type and application. Global Sheet Metal Fabrication Services Market Study Report offers a unique tool for estimating the market, highlighting opportunities, and supporting strategic and tactical decision-making. This report identifies that in this rapidly-evolving and competitive environment, up-to-date marketing information is essential to monitor performance and make critical decisions for growth and profitability. It provides information on trends and developments, and focuses on markets and materials, capacities and technologies, and on the changing structure of the Sheet Metal Fabrication Services Market. All Metals Fabricating, BTD Manufacturing, Classic Sheet Metal, Hydram Sheet Metalwork, The Metalworking Group, Kapco Metal Stamping, Marlin Steel Wire Products, Mayville Engineering Company, Metcam, Moreng Meta, Noble Industries, Standard Iron & Wire Works,. Scope of Sheet Metal Fabrication Services: Sheet Metal Fabrication Services Market report evaluates the growth rate and the market value based on market dynamics, growth inducing factors. The complete knowledge is based on latest Sheet Metal Fabrication Services industry news, opportunities, trends. The report contains a comprehensive market analysis and vendor landscape in addition to a SWOT analysis of the key vendors. The research report, titled Sheet Metal Fabrication Services Market 2018 Industry Research Reports, covers the current as well as the future scenario of the global Sheet Metal Fabrication Services market. It evaluates the Sheet Metal Fabrication Services Industry based on SWOT analysis and Porter’s Five Forces Model, which analyzes the degree of competition in the global market by considering several micro and macro factors. The global Sheet Metal Fabrication Services research report is a comprehensive study of the current trends in the market, industry growth drivers, challenges, and restraints. It also provides data regarding the competitive landscape and geographical distribution of the Sheet Metal Fabrication Services, along with an analysis of recent developments. Complete Sheet Metal Fabrication Services research report is isolated according to product types, Segments, geographical zones, major key players Including: All Metals Fabricating, BTD Manufacturing, Classic Sheet Metal, Hydram Sheet Metalwork, The Metalworking Group, Kapco Metal Stamping, Marlin Steel Wire Products, Mayville Engineering Company, Metcam, Moreng Meta, Noble Industries, Standard Iron & Wire Works. Sheet Metal Fabrication Services market separation on the Basis of Geographical: The Sheet Metal Fabrication Services research report covers gross margin of the regions including United States, Europe, China, Japan, Southeast Asia, India. To offer a more holistic overview of the Sheet Metal Fabrication Services Industry, the Sheet Metal Fabrication Services research report provides market projections for the coming years and covers some of the recent trends and developments in the Sheet Metal Fabrication Services market. The study covers the following: mergers and acquisition scenarios, various ventures in the market, various company strategies/tactics, market analysis such as Sheet Metal Fabrication Services market attractiveness and investment feasibility, detailed segmentation, key trends, valuable recommendation, market predictions, and information on major companies and key players along with their market shares in terms of volume and revenue. Profiles of some of the leading companies operating in the Sheet Metal Fabrication Services market are presented in the study report. This helps in identifying some of the key Sheet Metal Fabrication Services industry players and their valuable insights, key strengths, business interests, profits, growth prospects, and weaknesses across the globe. This information also helps the users understand their operations and financial structures in the global market. 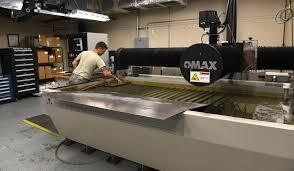 This, in turn, helps in formulating beneficial Sheet Metal Fabrication Services market strategies. The Sheet Metal Fabrication Services study report also includes evaluation of the international markets including several development trends and competitive landscape analysis in the global Sheet Metal Fabrication Services market. Moreover, the geographical segmentation of the global Sheet Metal Fabrication Services market is also examined in detail in the report. All the developments of the Sheet Metal Fabrication Services market in each geographical region are charted through accurate historical statistics in this section, offering reliable, insightful region-wise forecasts for the Sheet Metal Fabrication Services. The Sheet Metal Fabrication Services market 2018 industry research report focuses on major industry players in Global, including company profiles, product images and specifications, sales, market share, and contact information. More importantly, the Sheet Metal Fabrication Services industry development trends and marketing channels were analyzed. Providing the main statistical data on the current status of the Sheet Metal Fabrication Services industry is a valuable guide and direction for companies and individuals interested in the market. Sheet Metal Fabrication Services Market is presenting impressive development over the past couple of years calculations across the globe. Sheet Metal Fabrication Services Market, has been arranged based on detailed market analysis with inputs from industry experts. The examination report studies deeply about the market based on a few criteria, including type, geographical regions, and application to give a detailed understanding to the investors and firms that are looking forward to the expansion. The global supply chain of the market has been explained in detail, which incorporates measurable data and specifically focused on different downstream and upstream components. Sheet Metal Fabrication Services Market Segment by Manufacturers includes: All Metals Fabricating, BTD Manufacturing, Classic Sheet Metal, Hydram Sheet Metalwork, The Metalworking Group, Kapco Metal Stamping, Marlin Steel Wire Products, Mayville Engineering Company, Metcam, Moreng Meta, Noble Industries, Standard Iron & Wire Works, and many more. This report investigates new project feasibility with a purpose of enlightening new entrants about the possibilities in this market. In this report, thorough investment analysis is provided which forecasts imminent opportunities for the market players. The sheet metal fabrication services market has acquired a vital position in the global metalworking sector and is likely to exhibit rapid growth in demand in the coming years. The sheet metal fabrication services market has been driven by the urbanization observed in several developing regions across the world, as well as steady growth of key end use industries such as aerospace and automotive. The global sheet metal fabrication services market is projected to exhibit a CAGR of 1.4% between 2017 and 2025. Ready to install fabrication products have become vital for these and other end users in the sheet metal fabrication services market, which is likely to aid steady progress of the sheet metal fabrication services market in the coming years. By metal type, the global sheet metal fabrication services market is segmented into steel, aluminum, and others such as copper and tungsten. Steel is the predominant leader in the global sheet metal fabrication services market due to its widespread use in the construction industry. Sheet Metal Fabrication Machines Market report offers the most up-to-date industry analysis on the current market condition, and growth potential of Sheet Metal Fabrication Machines industry. The report includes significant data from past 5 years and forecasts by 2022, which makes this Sheet Metal Fabrication Machines market report a vital resource for industry analyst, leading players, consultants, analysts, and other individuals looking for key market data eagerly available with clearly presented tables and graphs. Next part of Sheet Metal Fabrication Machines Market report is about key manufacturers in the industry with their revenue analysis and company profiles, business strategies which helps investors in making an effective and impactable new strategies. This report integrates forthcoming stream of the Sheet Metal Fabrication Machines market organized with an analysis of current industry. Report describes the Sheet Metal Fabrication Machines market scope with the aspects governing market growth. Also, the report clarifies numerous challenges that affects Sheet Metal Fabrication Machines industry development. After providing introducing analysis of Sheet Metal Fabrication Machines market, the report also holds the segmentation of market based on types, end user applications and region wise statistical data for new entrants and the investor with the growth analysis and forecast up to upcoming years. Additionally, this report covers the latest industry data like size of Sheet Metal Fabrication Machines market, region wise growth analysis, trends and improvements in the Sheet Metal Fabrication Machines industry, periodic analysis of past five years and forecast of upcoming years in terms of demand and supply with economic growth factor. published a new industry research that focuses on Sheet Metal Fabrication Services market and delivers in-depth market analysis and future prospects of Global Sheet Metal Fabrication Services market. The study covers significant data which makes the research document a handy resource for managers, analysts, industry experts and other key people get ready-to-access and self-analyzed study along with graphs and tables to help understand market trends, drivers and market challenges. The study is segmented by Application/ end users [Large Enterprise & Small and Medium Enterprises], products type [Steel, Aluminum & Others] and various important geographies like United States, EU, Japan, China, India & Southeast Asia]. The research covers the current market size of the Global Sheet Metal Fabrication Services market and its growth rates based on 5 year history data along with company profile of key players/manufacturers. The in-depth information by segments of Sheet Metal Fabrication Services market helps monitor future profitability & to make critical decisions for growth. The information on trends and developments, focuses on markets and materials, capacities, technologies, CAPEX cycle and the changing structure of the Global Sheet Metal Fabrication Services Market. The study provides company profiling, product picture and specifications, sales, market share and contact information of key manufacturers of Global Sheet Metal Fabrication Services Market, some of them listed here are All Metals Fabricating, BTD Manufacturing, Classic Sheet Metal, Hydram Sheet Metalwork, The Metalworking Group, Kapco Metal Stamping, Marlin Steel Wire Products, Mayville Engineering Company, Metcam, Moreng Meta, Noble Industries & Standard Iron & Wire Works. The market is growing at a very rapid pace and with rise in technological innovation, competition and M&A activities in the industry many local and regional vendors are offering specific application products for varied end-users. The new manufacturer entrants in the market are finding it hard to compete with the international vendors based on quality, reliability, and innovations in technology. Global Sheet Metal Fabrication Services (Thousands Units) and Revenue (Million USD) Market Split by Product Type such as Steel, Aluminum & Others. Further the research study is segmented by Application such as Large Enterprise & Small and Medium Enterprises with historical and projected market share and compounded annual growth rate. Geographically, this report is segmented into several key Regions, with production, consumption, revenue (million USD), and market share and growth rate of Sheet Metal Fabrication Services in these regions, from 2012 to 2022 (forecast), covering United States, EU, Japan, China, India & Southeast Asia and its Share (%) and CAGR for the forecasted period 2017 to 2022. Prestige Metals has been in the fabrication industry for over 70 years, and we take pride in the products and service that we provide to our customers. Prestige has been in business for over 70 years providing top of the line sheet metal solutions. Our facility is stocked with today’s latest equipment and technology, allowing us to create the best possible products. Copyright 2019 Prestige Metal Products, Inc.